COUTURE GARTERS MADE ESPECIALLY FOR YOU. Our bridal accessories are perfect for your wedding day. 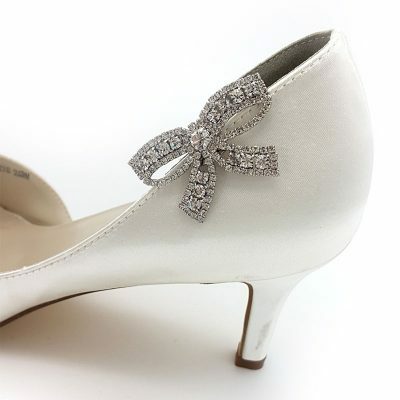 Your bridal shoes need to tick a few boxes, they must look great, be comfortable and a practical height for you to wear all day. 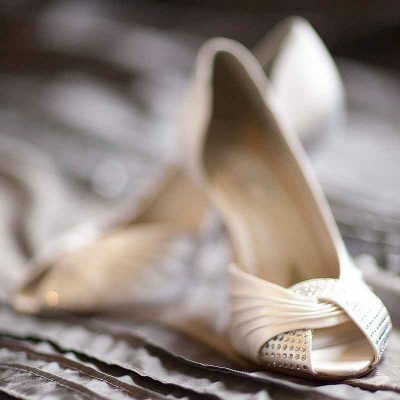 For this reason your bridal shoes are such a personal choice and you always need to remember, it’s a very long day. Therefore we stock a variety of styles and heights and our customers have always boasted on how comfortable they are. We also stock shoe clips which give amazing versatility to a plain but comfortable shoe. As a result they make great gifts for your bridesmaids and the best part is, you can transfer them to any shoe. Wear them at the front, side or back, the options are only limited by your imagination. Let’s not forget our stunning clutch and evening bag collection. 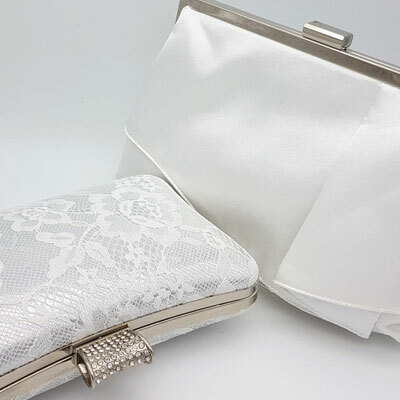 Your bridal clutch is going to be your little saving grace on your wedding day. As it will hold all your little essentials like bandaids, panadol, mini sewing kit, mobile (just in case something goes wrong and you need contacts), lipstick, mints etc. As a result it is an absolute must. Hence it really is the perfect excuse to expand your clutch collection and keep using it time and time again. 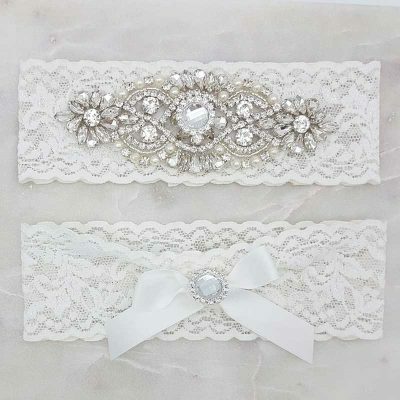 We have designed a range of stunning bridal garters that we make ourselves in-house. For this reason we offer a variety of sizes and custom make each garter according to your thigh measurement. Offering a large range of designs and colours we are also happy to accommodate if you have something specific in mind. We pride ourselves on our stunning wedding accessories and jewellery collections. Hence we offer great luxe quality at an affordable price. Our aim is to bring you out gorgeous wedding products to your doorstep in a quick and effortless manner. We hope you enjoy shopping with us. If you are in need of assistance, click the ‘stylist advice’ button for some professional help from our wedding stylist. To ensure you’re making the right decision. As a small passionate business, we want to help make your wedding experience feel as effortless and enjoyable as possible.